Gidday to you all this fine Sunday - fine - huh, isn't that an understatement?! It's so hot today - it's really making me appreciate our new airconditioning! Well, I've been a busy bee (well for me anyway)... 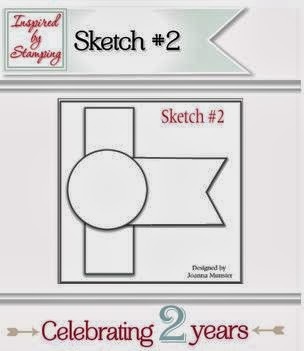 I've created the next two entries for the Inspired By Stamping 2 year anniversary challenge bonanza. I was up until 4.30am this morning finishing sketch 2 - I was colouring and colouring - not just that picture but 3 others as well, it's a time consuming but enjoyable passtime. I was shocked when I checked the time - my mind was buzzing but I made myself go to bed, lol. 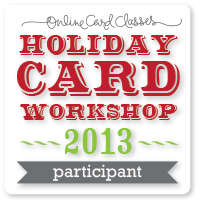 Entries for all the sketch challenges can be seen at the bottom of this page link for Inspired By Stamping. A while ago I fell in love with this wrapping paper that I found at the Reject Shop - in lots of colours. I spent a lot of time hand cutting it into roughly 12x12 paper sizes. That is what the foiled background is made from. The checker pattern is from Stamp TV's paper pack Casual Friday. The circular patterned paper is from the My Minds Eye 29th Street Market. 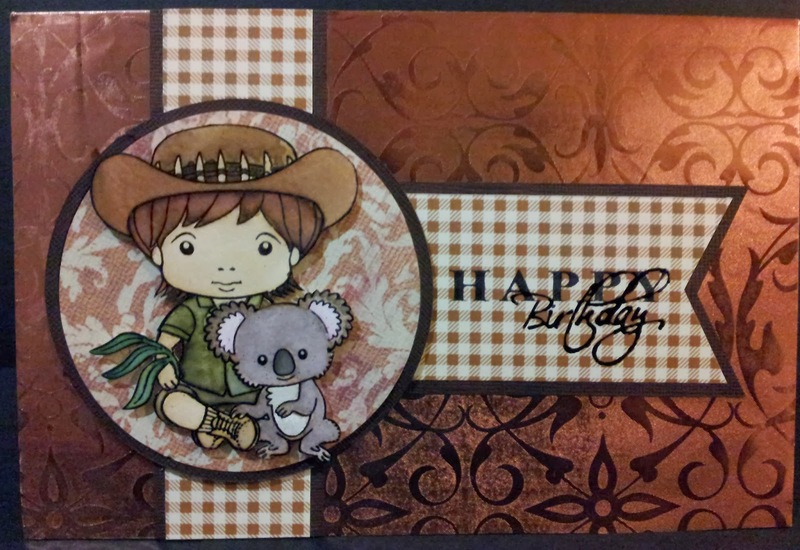 The dark brown cardstock is from Kaszazz and it blended into the foiled background too much so I coloured the edges with a dark brown copic marker to change the colour. The stamped image is from La-La Land and it's called Koala Luka - so cute! I coloured that in with my Tim Holtz distress markers and a water brush. The sentiment is also from Kaszazz and the word birthday was a little too fine to read so I went over that with a black gel pen. What a gorgeous card. Love the stamp. I want one! Thanks Tina, I have to say, these La-La Land stamps are fun to colour in and hard to mess up! This is so sweet. Thanks for joining us at IBS. What an adorably sweet card! Great coloring and what a great find on the wrapping paper. Thanks for joining us at IBS! Thanks Leah, don't you love a good find? Thank you Joanna, I also got the paper in bright pink, purple, blue and green I think!